Highly publicized ethical lapses by sports celebrities have raised questions about morality in athletics. If coaches help their athletes achieve peak physical performance, can they also teach their sports charges to make ethical choices? 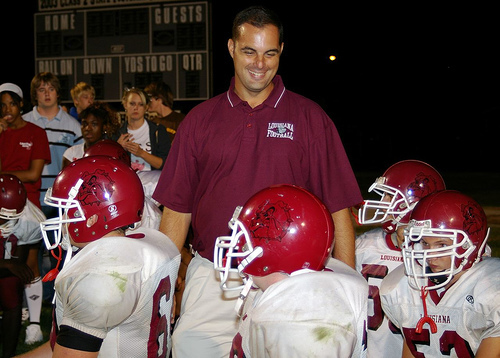 New research from Concordia University has examined how coaches exert moral influence over athletes and how athletes respond. The study garnered data from 17 elite coaches who had once been athletes themselves. The investigation found compelling evidence that coaches can provide important moral guidance for their athletic charges. "Coaches have a unique relationship with their athletes," says Sandra Peláez, who completed the study as part of her PhD thesis at Concordia's School of Graduate Studies and Department of Exercise Science. 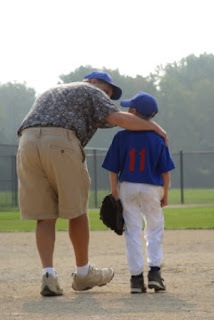 "Coaches are mentors, parent figures, career enablers, and judges -- all at the same time," continues Peláez. "Every coach, however, doesn't influence every athlete he or she works with. The coach-athlete relationship is what enables a coach's influence and therefore determines how much influence a coach has. We found athletes would evaluate the relationship with their coaches and then decide whether to accept moral guidance or not." Like most people, the study found athletes receive early moral direction from their parents. Yet as athletes become more engaged in sport, coaches become their most important source of moral guidance. This may be because athletes admire and trust their coaches. It may also be because coaches have significant power to enforce their standards, if only by "benching" players who do not adhere to rules. While study participants agreed that moral influence was an important aspect of coach-athlete relationships, they found morality hard to define. In the course of the study, four core moral values emerged. These were "elite sports involvement" (e.g. discipline), "interaction with others" (e.g. respect), "self-related" (e.g. enjoying the sport) and "game" (e.g. striving to win). Coaches' cultural backgrounds also influenced their definitions of morality. "Cultural differences are crucial -- and this study is the first to draw attention to this important point," says Peláez. "Things that are accepted in one culture are not accepted in others. For example, in some Eastern European countries, you are either training or you are in the hospital. If you skip practice, you will be punished because it's your moral obligation to be there. It's part of your commitment to your country, your teammates and your coach." The study also broke new ground by showing that coaches inherit their moral values from their own coaches. Participants discussed moral issues using what their own coaches did as their frame of reference. Whether they copied these practices or criticized them, their understanding of morality was based on what they learned from their coaches when they were athletes. "Getting coaches to articulate how they see their role -- how they feel they can influence the process -- is important," says Simon Bacon, a professor in Concordia's Department of Exercise Science and Sandra Peláez's thesis supervisor. "Our study results will help us develop materials to increase moral behaviours in sports settings," he continues. "Many children participate in organised sport and spend considerable time with coaches. Understanding how coaches influence moral development and ultimately build character is important to society, as it offers another way to teach moral values."